The Beast Inside Announcement Trailer | Nerd Much? The Beast Inside is an upcoming indie game that is dead set on innovating the horror genre. Developed by Illusion Ray Studio and published by Movie Games S.A., The Beast Inside will be out in early 2019 on PC only. If you would like to support this game, you can check out their Kickstarter, linked on the game’s Steam page. The story of The Beast Inside begins with Adam, a CIA cryptanalyst who moves to the country with his wife. He is seeking a little peace and quiet in order to focus on breaking military code that could alter the course of the Cold War. Once they get there, Adam finds a diary written by a mysterious Nicholas from the Civil War. It seems that the two situations are connected and bring the nightmarish into the present. It is up to the player to solve the mystery through both Adam and Nicholas in order to end the horror and survive. The developers claim a deep and complex world for the player to explore in a semi-open fashion. In fact, the entire world and everything in it can be interacted with, unlike so many in this genre. Usually, you have to find the one highlighted item that will get you into the next room, but that will not be the case with The Beast Inside – at least not to a degree that you will be stuck for a long period. You will not always be running from the horror in this game either; you will have a revolver that will at least buy you enough time to figure out where to hide. There will be a wide range of horrors too; it won’t be just one monster. 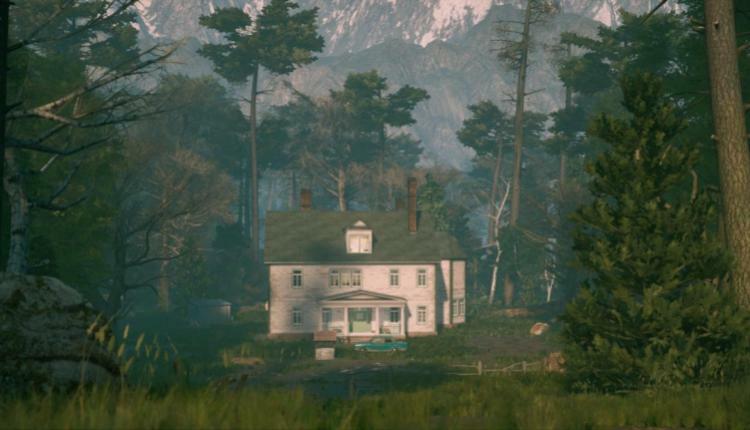 A unique element of this game is that you will be “controlling two protagonists in two different time periods”; one during the Civil War and the other during the Cold War. It will be interesting to see just how supernatural this horror is and if the secrets beneath it all are really worth uncovering. What do you think of The Beast Inside thus far? Do the images and narrative capture your attention? Let us know in the comments below!